At The Donor Solution, we understand that the decision to become an egg donor can be exciting, interesting, complicated, and anxiety-causing all at once. With the help of our experienced Registered Nurse and dedicated Donor Coordinators, you can rest assured that your questions will be answered and that we will provide the best possible quality of care throughout your donation experience. As professional fertility specialists, we are here to help you navigate the entire egg donation process and are available 24/7 to make sure you are fully and completely cared for. To start the egg donor process, all we require is a preliminary donor application. 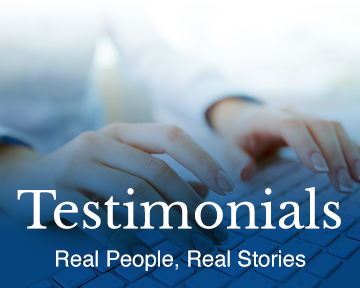 After we review this application, qualified candidates will be contacted by email and asked to complete a more detailed follow-up application. After review of this secondary application, we will contact you to set up a personal appointment to discuss our egg donation programs and get to know each other better. Egg donation is a process in which a woman provides her own healthy eggs to assist a couple or individual who cannot otherwise conceive. Donor eggs are typically used by fertility doctors to create embryos that can later be implanted in the uterus of the woman who intends to carry the child. 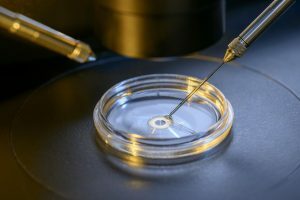 If the intended mother is unable to carry a baby to term herself, one or more embryos may be implanted in a gestational surrogate. Donating eggs to couples who cannot conceive is a beautiful way to help others experience the many joys of parenthood. In addition to the sense of fulfillment a donor gets from helping intended parents achieve their family goals, donors are given financial compensation in exchange for their time and efforts throughout the process. Please review our full list of egg donor requirements for additional details. As with any major medical procedure, egg donation carries some degree of risk. Donors may experience negative side effects as a result of the medications administered to help the eggs mature, and the egg retrieval procedure itself has rare complications that include vaginal bleeding, abdominal bleeding, intestinal injury, infection, and ovarian torsion. When an egg donor is chosen by a couple, she first goes through medical screening to confirm that she is healthy enough to provide genetic material and undergo the procedure. Screening typically includes blood and hormone level tests, an ultrasound, and a psychological evaluation to make sure the donor is emotionally and mentally prepared. If additional information is needed after the initial screening, further diagnostic or genetic tests may be requested. Once the donor is medically and psychologically cleared for donation, she will be given a series of injections to help the eggs develop and mature. Once doctors determine they are ready for donation, the eggs are removed with a specialized needle in a short ultrasound procedure. This process usually takes no longer than a half hour. Donation takes approximately 6-10 weeks from the time a couple chooses a donor to the time the eggs are retrieved. Throughout the process, the donor works with an attorney who will take care of all necessary legal documents. The Donor Solution will provide this attorney at no charge. 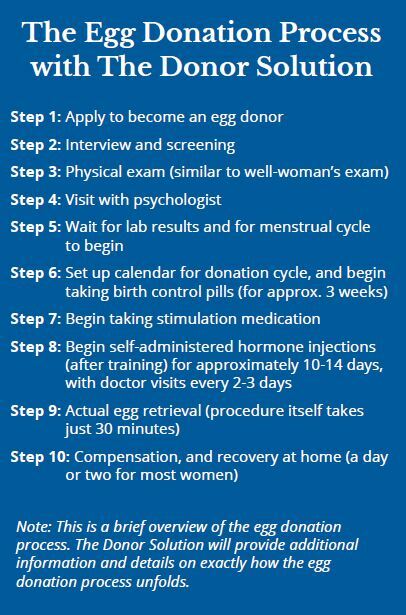 For additional details and a better understanding, please review our full egg donation process. All of The Donor Solution’s compensation amounts are determined in accordance with the guidelines of the American Society of Reproductive Medicine. If you are interested in becoming an egg donor and helping a couple achieve their dream of parenthood, please begin the process by completing the preliminary application found on our homepage. If you have questions or just want to speak with us about the process, give our friendly staff a call at (713) 827-0301. Experience the personal satisfaction that comes from helping couples who long for families of their own—become an egg donor and join us in turning their dreams into reality. 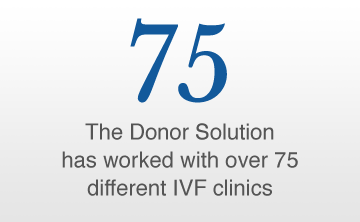 At the Donor Solution, we work hard to be the solution for extraordinary egg donors.